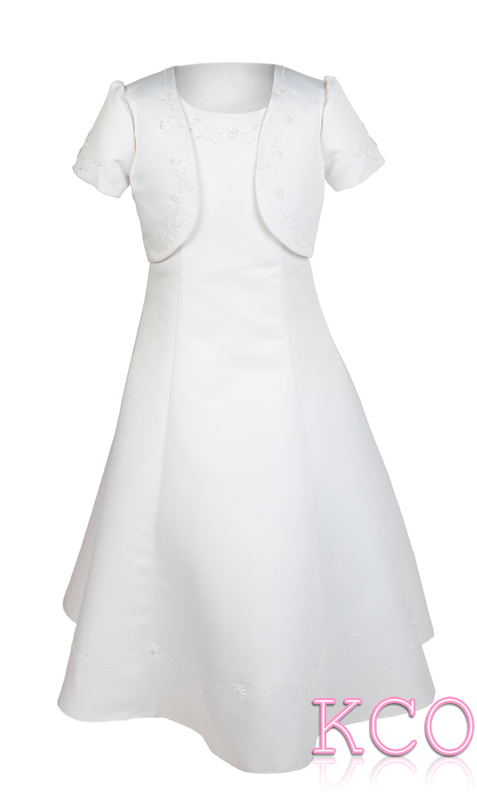 This elegant girls first holy communion dress has a dainty flower embroidery along the top of the girls dress. The short sleeved bolero jacket accompanying this girls communion dress is very sophisticated and has a matching flower embroidery which complements the dress beautifully. The flower embroidery along the hem of the dress is also very pretty and adds the finishing touch to the wavy bottom of this girls first holy communion dress.